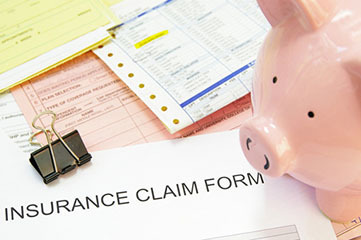 The world of health insurance coverage can be difficult to navigate. From choosing which benefits are best for you to understanding exactly what your financial obligations are for treatment, dealing with health insurance is a complex task. To simplify it, you need to know what industry terms mean and how they apply to you. Health literacy is a major focus for the insurance market right now. According to the Kaiser Family Foundation, outreach programs for the Affordable Care Act found many consumers asking for guidance simply do not understand the act itself. Three-fourths of consumers who seek advice don't understand deductibles or provider networks. This situation makes it harder for consumers to access affordable care, so the industry is working toward a greater understanding for its clients. Some initiatives include new-member kits and calls to newly insured people, as well as webinars and interpreters for many languages. While these are all worthwhile efforts, you can begin to educate yourself about health insurance independently. Deductible: The deductible for your insurance plan is the amount you owe for covered health care before your plan will begin to pay. If you have a deductible of $2,000, your insurance will not cover services until you have paid $2,000 out of pocket for health care. Some services aren't subject to the deductible, and this depends on your particular plan. The services the deductible does not apply to will be covered regardless of how much you have paid out of pocket. You should research which services the deductible does and does not apply to so you have a firm understanding of what your financial responsibilities will be. Network, or Provider Network: Your provider network consists of all of the facilities and providers your health insurer has contracted with. This includes doctors and hospitals, as well as medical device suppliers in many cases. You will get the greatest amount of insurance coverage by choosing providers in your network. It is possible to see providers who are out of network, but the costs to you will be higher. Copayment: A copayment, also known as a copay, is a fixed amount you pay for a health care service, most commonly at the time you receive the service. These can vary depending on what procedure you are receiving. An office visit may cost you $20 after you have met your deductible, for example, while a copay for more intensive treatment would likely be higher. Coinsurance: Coinsurance is different from copay, as it is a percentage of costs rather than a fixed cost. If your coinsurance is 20 percent, you will pay that amount of every health care service you receive after you have met your deductible. A $50 office visit will mean you owe $10 out of pocket, while a procedure that costs $1,000 will leave you with the responsibility to pay $200. Understanding these terms and others you come across as you select and use health insurance can help you plan more effectively for the cost of health care.